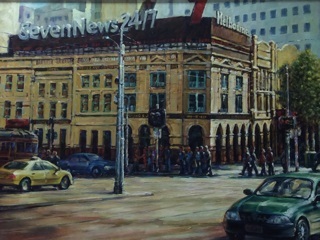 Painting donated by Swinburne alumnus/artist, Stephen Mar. Completed Diploma of Art in the original Art School 1958-1960. Realist artist, winner of various Art prizes.